Finally a performance coil cable suitable for most every application! Excellent coil retention, fire retardant jacket, high flex stranding and reduced diameter make the PFR series a Cable Science exclusive. UL/CSA listed and Mil-C-13777G approved. 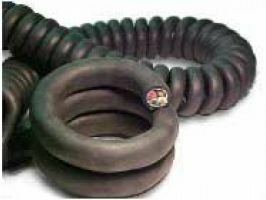 Soft Bare or Tinned Copper/TPE Insulation — PFR Jacket — Black Retracted Lengths 72, 48″, 36″, 24″, 12″ Extended Lengths 1:5 Ratio -40 +90 deg C UL/CSA *AWM Equivalent to flexible cordage designation Custom Molded plugs available with minimum order quantity. 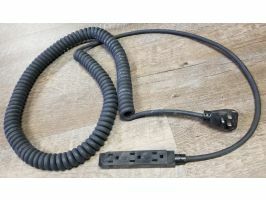 Coil cable listed above with blunt cut lead ends. Please consult factory for special conductor count, gauge size and custom coil length up to 100 FT. extended.